Just a reminder tour forms and deposit/confirmation is due tomorrow at Division Band rehearsal in Allan. Cookie dough orders can be picked up tomorrow April 16 anytime after 2:30pm. Pickup is at Melissa Andrades house in Sunset Estates #244. Call (306) 477-7417 for any questions. Musicians are free, students & members $8, non-members $13. Tickets available at the door. Previous to the information sent home a month ago we have an updated tour schedule for May 22-24th. It is important that all students attend where able so we can represent the school division with all parts covered. Due to district track happening on the Wednesday 22nd we will be leaving later after district track has concluded.The track meet involves over 15 seniors on the Wednesday. Reminder – Deposit/Confirmation of tour attendance must be in by April 17th. All Students must have paid their band fees to attend. Just some reminders tomorrow. 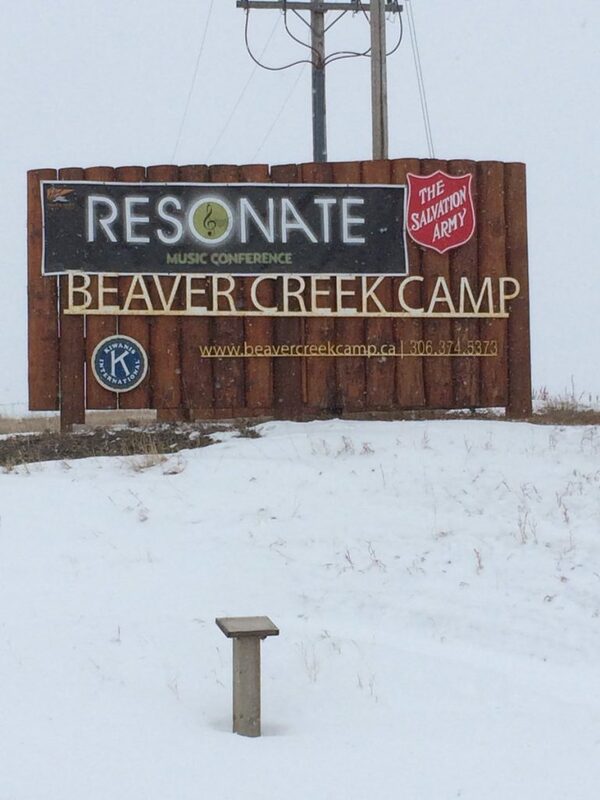 Division Band is at Resonate. For bus times see the previous post below. There is a rehearsal for East and West at the conclusion of the day so bring you music and instrument. Senior Brass Players, Jazz Band and RhythmBox Percussion Ensemble will be performing in the evening at 7pm at the Bassment Jazz Club. Students need to arrange transport to and from the event. For anyone wanting to come watch it is admission by donation the more the merrier. It will be an awesome show. If you have cookie dough orders you can bring them to resonate. Just a reminder that this Wednesday evening everyone is welcome to attend the Resonate 5th Anniversary Concert at the Bassment Jazz Club in Saskatoon, starting at 7pm. This message is to provide you with the information you need about Resonate 2019 next week. PLEASE MAKE SURE THE BUS PERMISSION SLIPS ARE SIGNED AND RETURNED TO THE ADMIN ASSISTANT AT YOUR HOME SCHOOL. You cannot board a bus without the singed permission. BUS 1: – Allan/Dundurn – Bus 212 –Pick up in Allan at 7:35a.m. ; Dundurn Gas Station – 8:15a.m. – Arrive in Beaver Creek – 8:40a.m. Leave Beaver Creek at 4:00p.m.Drop off at Dundurn Gas Station at 4:25p.m. ; Allan – 5:00p.m. BUS 2:– Aberdeen/Clavet – Bus 367 – Pick up in Aberdeen at 7:30a.m. ; Clavet – 8:00a.m. – Arrive in Beaver Creek – 8:30a.m.Leave Beaver Creek at 4:00p.m.Drop off Clavet at 4:30p.m. ; Aberdeen – 5:00p.m. If you play a musical instrument, please feel free to bring it. A few instruments like guitars and drums will also be available for use. Check-in opens at 8 am. Watch for either signage or people to direct buses to appropriate parking areas. Official Resonate Merchandise (T-shirts & toques) – will be for sale on site Cash only. St. John’s Music will also have merchandise on site available for sale. 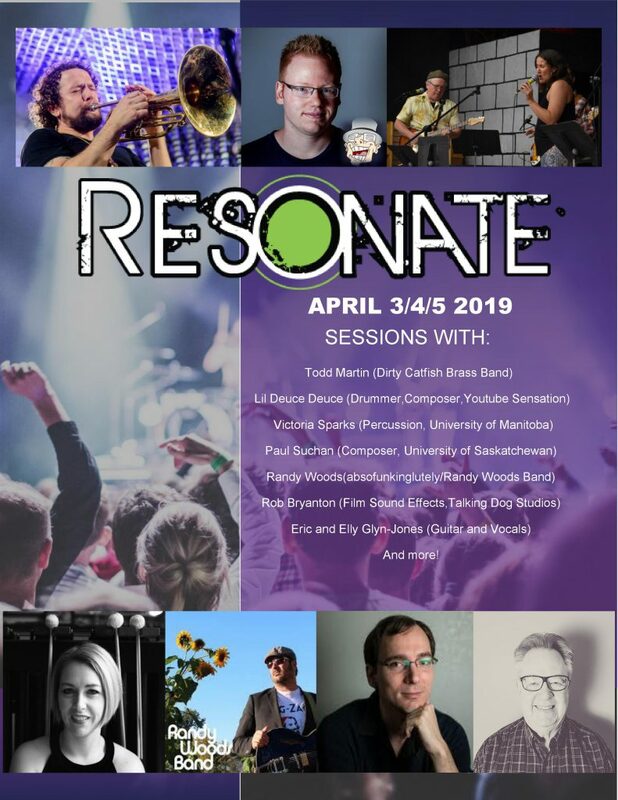 We look forward to having you at Resonate 2019! All senior students will be attending Resonate conference on Friday April 5th this year. In addition to other sessions the band will be working with Paul Suchan (composer) and Todd Martin (Dirty Catfish Brass Band).